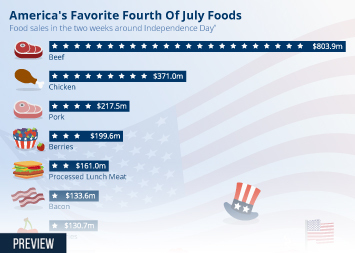 Who Are America's Vegans & Vegetarians? In recent years, the U.S. has seen more and more vegan and vegetarian restaurants open their doors while supermarket shelves are always stacked with alternatives to meat and dairy products. Meanwhile, social media communities catering to both diets have steadily expanded while most of us know at least one friend or family member who has taken up a purely plant-based diet. Despite all of that, vegans and vegetarians are actually pretty rare in U.S. eating circles. 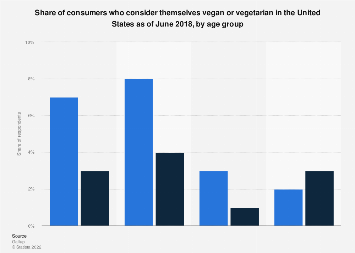 A Gallup poll has found that fewer than one in 10 Americans adheres to one of those diets with 5 percent of people saying they are vegetarian and 3 percent saying they are vegan. The following infographic takes a closer look at the poll's findings to see just who the country's vegans and vegetarians are. Both diets are more common among younger eaters with 7 percent of people aged 18-29 saying they are vegetarian while 3 percent say they are vegan. In the 30-49 age-bracket, 8 percent are vegetarian while 4 percent are vegan. Those figures fall drastically to 3 and 2 percent respectively among over 65s. In terms of income, vegans and vegetarians are most likely to be earning below $30,000 a year while the diets are rarer among high earners. In terms of political orientation, liberals are far more likely than moderates of conservatives to ditch meat or dairy. The poll found that 11 percent of liberals are vegetarian while 5 percent are vegan. Only 2 percent of convervatives are either vegan or vegetarian. 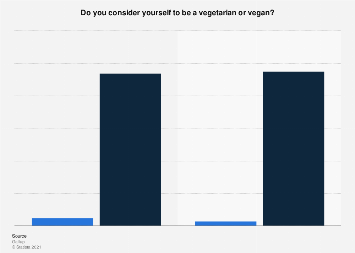 This chart shows responses to "in terms of eating preferences, do you consider yourself vegan, vegetarian?"